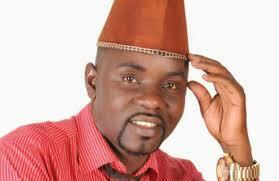 Kadongo Kamu singer Mathias Walukaga has made a U-turn, refusing to take a paternity test which he had earlier indicated he would do. Last week, Aisha Namugerwa claimed that Mathias Walukaga impregnated her and denied being father to her now one-year-old son. Her calls for help attracted the attention of Youth minister Florence Nakiwala Kiyinji and other social workers who came out to help Aisha find the true father of her son. Namugerwa claims that in 2015 while she worked as a maid at Walukaga’s home in Maya, had an affair with the singer while his wife Mariam was away and she got pregnant. She further states that Walukaga convinced her to return to her parent’s home in Kasambya after his wife Mariam was back. He argued that the two women wouldn’t connect yet he was ready to have Namugerwa as a partner. He reportedly promised to take full responsibility of the pregnancy as well as fulfil all partenity duties after the child had been born. However, Walukaga later turned against Namugerwa, claiming the child in question belonged to Twaha Mawanda, one of his dancers. He agreed to undergo a DNA test to prove he was not the father. On Monday, Walukaga yet again made a U-turn and refused to take the test saying it was a trap by his enemies and the government claiming they want to put him down because he is anti government. The singer says the DNA is premeditated and wouldn’t give honest results. Walukaga, however, said he’s going to look after the child like the other homeless children under his care and would later run a DNA test in either South Africa or US where he hopes to get authentic and honest results. MS Nakiwala Kiyingi is reportedly keeping Namugerwa and the child in safe custody in Naguru, Kampala.